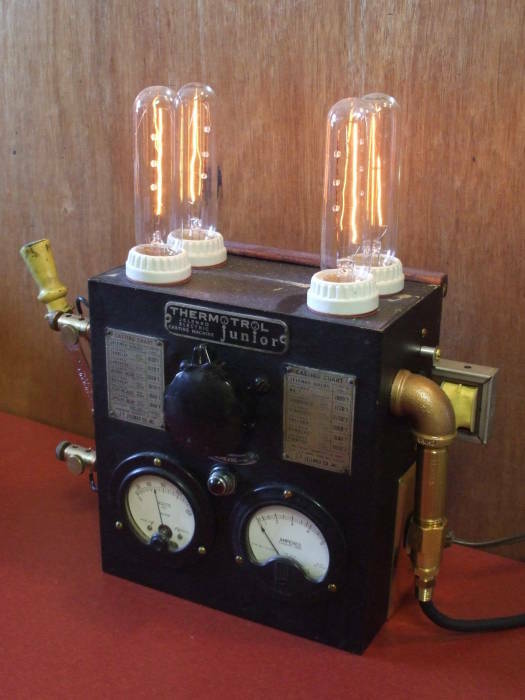 These projects are more dieselpunk than steampunk given their vintage, more Doc Savage than Jules Verne, and nowhere nearly as impressive as the projects at The Steampunk Workshop. But they have the first-half-of-the-20th-century esthetic I wanted — explicitly technical while still very low-tech. Incandescent and neon indicator lamps. 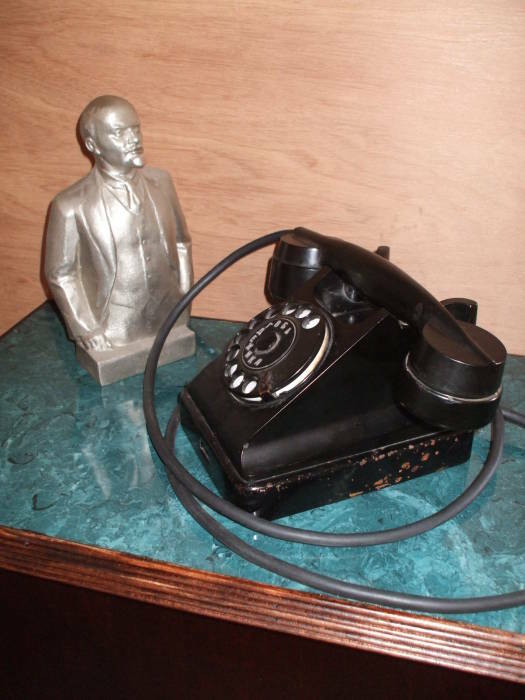 How to work around some shortcomings of the GSM system and the Nokia handset design and enable the continuing use of this sophisticated communications apparatus from 1955. Complete overkill power control for a home entertainment center. A 60-amp knife switch controls a power relay, four lamps are powered by a Variac variable transformer, meters measure both voltage and current. 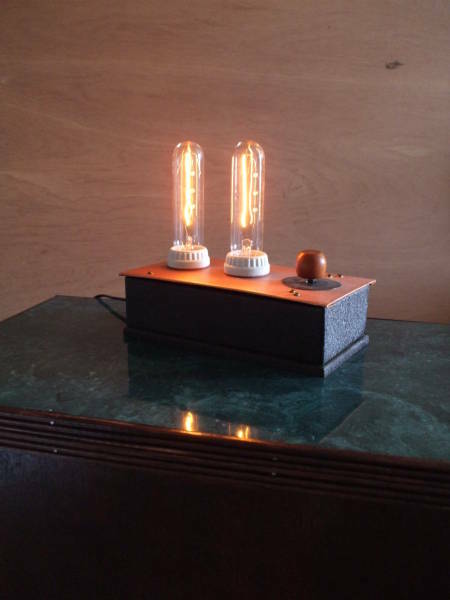 A retro lamp to provide pre-WWII-style illumination. Hammered-finish paint! Polished copper! Dimly glowing large-filament incandescent bulbs! 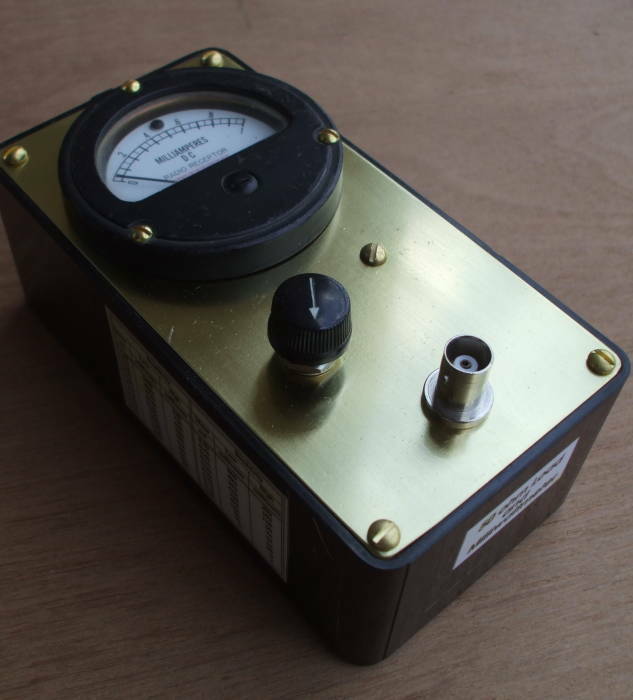 50Ω RF termination capable of dissipating up to 8 watts and a precise RF power meter useful down to 2 milliwatts. 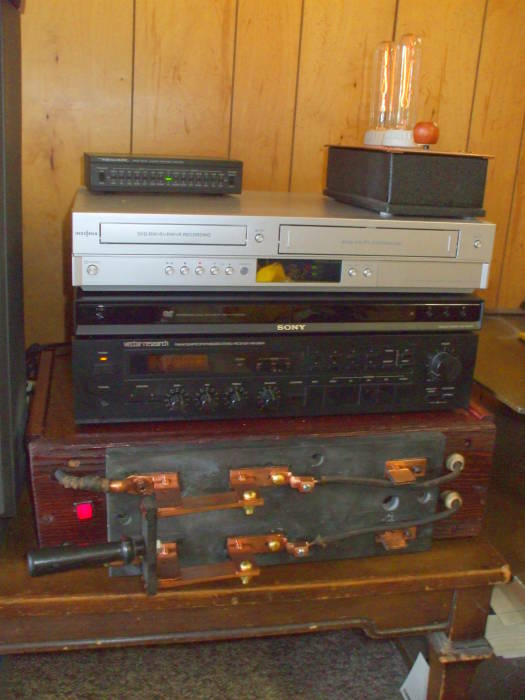 Using a 250-amp double-pole knife switch to control power to my stereo. Polished copper! Oversized wire! Dark finished wood cabinet! The appearance of danger!